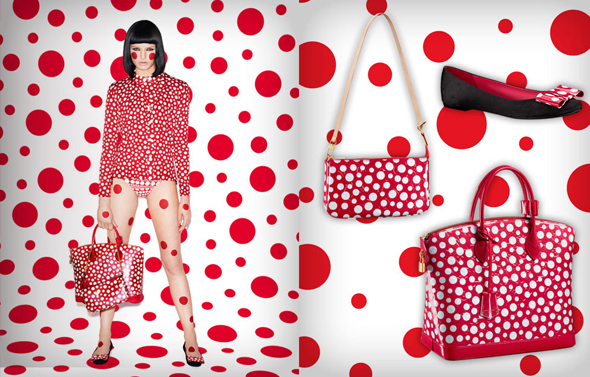 Louis Vuitton has gotten all ‘dotty’ with their new Yayoi Kusama inspired collection. 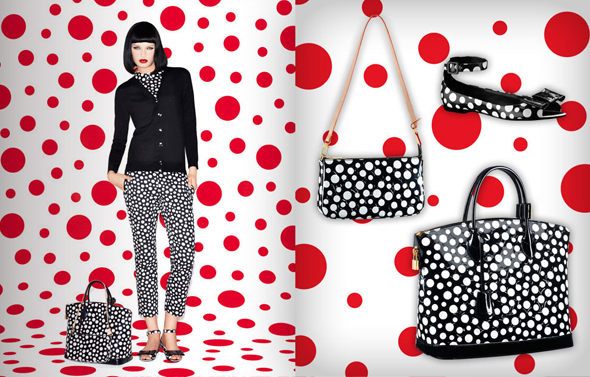 Everything in the range is covered in Kusama’s signature dots – small, medium and large dots, plus dotted gradients. 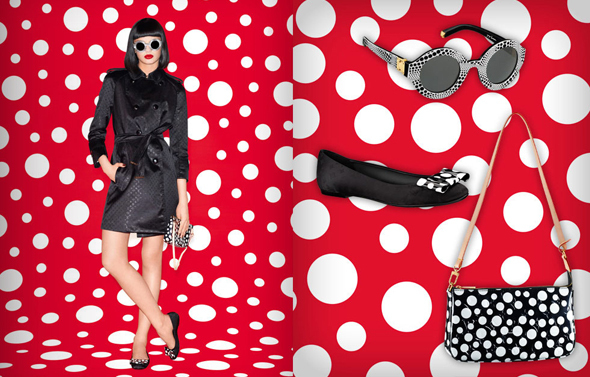 The line includes accessories like LV logo bags covered in painted polka dots, like the Pochette, Papillon barrel bag, and several versions of the Lockit, plus dotted pumps, ballerina flats, small leather goods, sunglasses, collars, jewelry, snoods and shawls and ready-to-wear pieces. 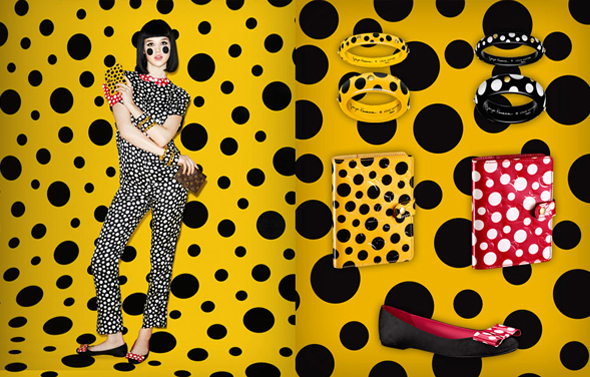 And the colors are very pop art-meets-Mickey Mouse – with combos like red and white, black and white, black and yellow and red, white and black. 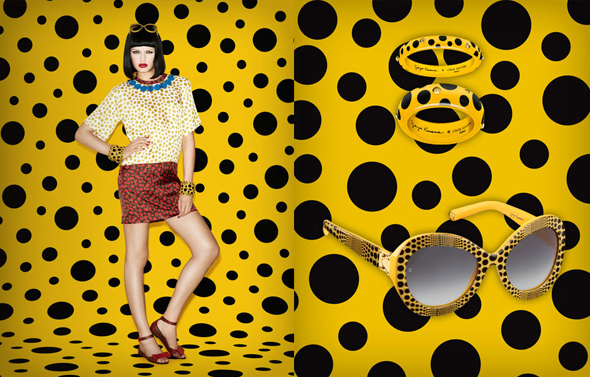 What do you think of the collection? 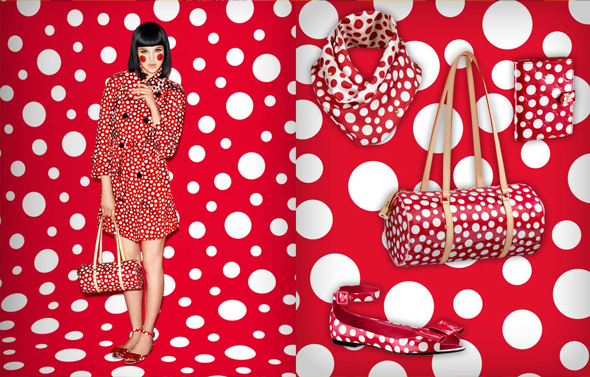 Would you rock these polka dots?